You probably know that woolly mammoths lived during the Ice Age, but do you know what made them become extinct? It was not directly from the heat, though that did play a factor: they "died of thirst." A study released by the National Academy of Sciences explains this new finding. Many woolly mammoths died out around 10,000 years ago, which scientists believe was due to humans hunting them, along with environmental shifts. One group of mammoths, however, survived for another 5,000 years on St. Paul Island, a remote island off the coast of Alaska. As the Earth warmed up after the Ice Age, sea levels rose. This made lakes and other smaller bodies of water disappear into oceans. Some islands disappeared underwater as well, taking away some of the mammoths' home. The beasts -- which weighed around six tons -- had to resort to surviving in tighter spaces, using whatever resources were available. "As the other lakes dried up, the animals congregated around the water holes. They were milling around, which would destroy the vegetation -- we see this with modern elephants," said Pennsylvania State University Professor Russell Graham, who co-authored the study. "And this allows for the erosion of sediments to go into the lake, which is creating less and less fresh water...The mammoths were contributing to their own demise," he continued. According to Graham, modern elephants drink between 70 and 200 liters of water a day. 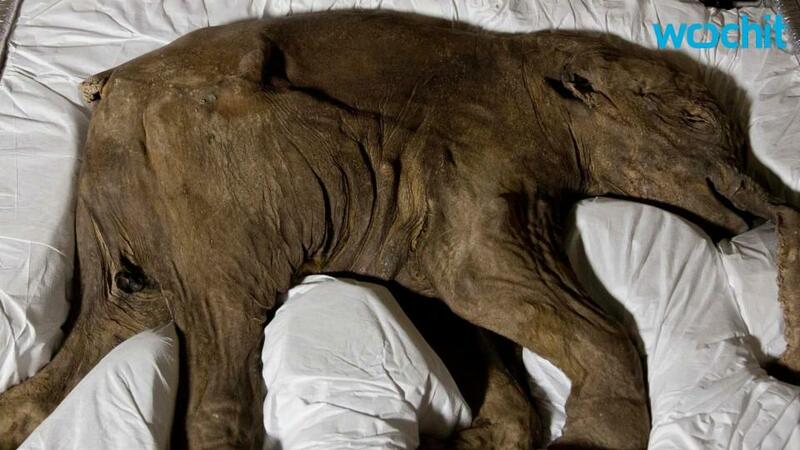 Scientists believe mammoths behaved similarly. The water eventually ran out. Graham said, "We assume mammoths did the same thing. It wouldn't have taken long if the water hole had dried up. If it had only dried up for a month, it could have been fatal."